What are your meltdowns like? Marcie’s mom drags her from their home in Idaho to New Hampshire when her husband leaves her for a younger man. Her departing from Idaho means leaving her boyfriend and her friends, the “Leftovers,” behind. While in New Hampshire, Marcie gets a new haircut, loses weight, and questions her relationship with her boyfriend. Long distance is rough and all her relationships are strained. Taking care of her mother and trying to adjust to a new school are difficult as well. Marcie feels secluded and too adult. A bright spot in her day is seeing J.D. who brings her breakfast every morning and quickly becomes her best friend in New Hampshire. As time passes, she becomes closer and closer to her and Idaho seems farther and farther away. Marcie does wonder, what happens if she ever returns to Idaho? Marcie is very dynamic, but often difficult to feel compassion for. Although she is sympathetic, her family collapsed and she is forced into the role of an adult, Marcie makes some bad decisions blatantly and without thought of how her choices affect others. 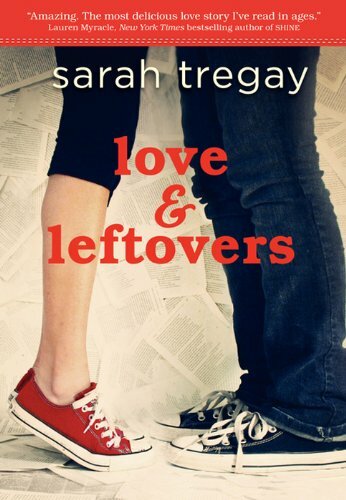 High school, female readers would appreciate Tregay’s work. Because of the subjects discussed, a younger audience might not understand the book. Sarah Tregay wrote Love and Leftovers in free verse as a diary. This style of writing offers a fun look into Marcie’s thought process. Her reactions to situations and emotions are clearly expressed in her poetry. Sarah Tregay’s work earns four stars; I neglect to give the last star because I was able to predict the end of Marcie’s story. I'm actually glad that it work better for older audiences. I'm really looking forward to reading this one! Great review!